Special education teachers are given the gratifying, yet unwieldy task of developing lesson plans that foster learning for disabled youth in PreK-12 classrooms. Under the Individuals with Disabilities Education Act (IDEA), every qualifying child under 21 deserves an Individualized Education Program (IEP) to maximize their chance at academic success. Special education teachers collaborate with general education teachers and school support staff to best help students with disabilities meet goals. America employs approximately 450,700 special education teachers, but jobs will keep growing quickly by 6 percent through 2024. This year, 49 U.S. states have reported special education teacher shortages. The special education field is bursting with opportunity for graduates at the bachelor’s, master’s, and doctoral levels. In this article, we’ll recognize the nation’s 10 Best Special Education Graduate Degree Programs for initial or professional licensure. We consulted with the National Council on Teacher Quality rankings for special education. Graduate programs had to score within the NCTQ’s top 50 in the United States. Key ranking factors were selectivity, student teaching, instructional design, curricula content, classroom management, and outcomes. Next, we used national publications like the U.S. News, Forbes, and Princeton Review to further evaluate each graduate program. Then average annual graduate tuition prices were recorded from the NCES’ College Navigator. Education schools had to hold accreditation from the National Council of Accreditation for Teacher Education (NCATE) or Council for the Accreditation of Educator Preparation (CAEP). Graduate programs with multiple special education specializations were also prioritized. Earning a bachelor’s in special education may be sufficient in some states, but others like New York and Ohio require a master’s degree for full licensure. Graduate special education programs are smart investments that boost pay, job stability, and concentration. Master’s degree holders could even advance their careers as special education directors or principals. According to PayScale, annual salaries for Master of Education graduates range from $44,149 to $74,470. Endowed for nearly $3.1 billion, the University of Washington-Seattle is one of the West Coast’s oldest public, research institutions educating over 45,200 students from its 703-acre campus on Portage Bay. As America’s 52nd Best National University, the University of Washington – Seattle is recognized for the eighth Best Education School by the U.S. News and World Report. The College of Education partners with 300+ Washington schools for community-focused educator preparation. Graduates can pursue the M.Ed. in Early Childhood Special Education, M.Ed. in High-Incidence Disabilities, M.Ed. in Low-Incidence Teacher Education, or Ph.D. in Special Education. 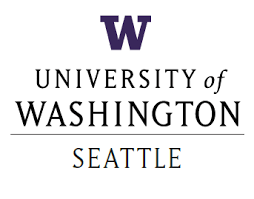 Learn more about the University of Washington – Seattle’s Special Education Graduate Degree Programs here. Located on Manhattan’s famed Park Avenue, the City University of New York (CUNY) Hunter College is a public, co-educational teaching institution serving over 20,800 students from nearly 160 countries. Named among the Princeton Review’s “Best 380 Colleges,” Hunter is the North’s ninth Top Public School according to the U.S. News and World Report. Within the National Council for Accreditation of Teacher Education (NCATE) accredited School of Education, teachers can earn a M.S.Ed. in Special Education. Specializations include Deaf and Hard of Hearing, Blind and Visually Impaired, Early Childhood, Childhood, Adolescent, or Severe/Multiple Disabilities. The 32 to 44-credit curriculum requires practicum in NYC schools. Learn more about CUNY Hunter College’s Special Education Graduate Degree Programs here. Chartered in 1856, the University of Maryland-College Park is a public, land-grant RU/VH research institution educating approximately 38,100 students just four miles from Washington, DC. According to the U.S. News and World Report, the University of Maryland is the nation’s 21st Most Innovative School with the 26th Best Graduate Education. Holding Council For the Accreditation of Educator Preparation (CAEP) accreditation, the College of Education has 91 full-time, tenured faculty mentoring young teachers. Maryland offers a M.A. in Special Education, M.Ed. in Elementary/Middle Special Education, M.Ed. in Severe Disabilities, AGS in Autism Spectrum Disorders, or Ph.D. in Special Education. 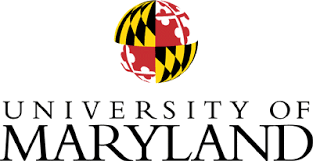 Learn more about the University of Maryland – College Park’s Special Education Graduate Degree Programs here. Serving more than 24,600 students, Old Dominion University is a public, sea-grant research institution located in the Lambert’s Point neighborhood of Norfolk, Virginia. Placed 141st for “contribution to the public good” in Washington Monthly, Old Dominion University is recognized for America’s 107th Top Education School by the U.S. News and World Report. The Darden College of Education holds National Council for Accreditation of Teacher Education (NCATE) approval and a Christa McAuliffe Award for Excellence. Teachers could earn the M.Ed. in Special Education, M.Ed. in Special Education Research, Applied Behavior Analysis Certificate, or Ph.D. in Special Education. 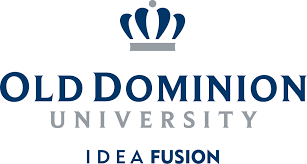 Learn more about Old Dominion University’s Special Education Graduate Degree Programs here. Classified as a preeminent public, doctoral-granting RU/VH research institution, the University of Louisville serves over 22,300 students from its main 345-acre Belknap campus. Ranked 167th Nationwide in Forbes, Louisville is recognized by the U.S. News and World Report for America’s 78th Best Education School. Known for the Kentucky Autism Training Center, the College of Education & Human Development offers 10 special education programs. The National Council for Accreditation of Teacher Education (NCATE) accredited M.Ed. in Special Education has concentrations in Assistive Technology, Autism and ABA, Learning/Behavior Disorders, or Moderate/Severe Disabilities. There’s also a unique Troops to Teachers program. Learn more about the University of Louisville’s Special Education Graduate Degree Programs here. Established as a normal school in 1893, Southern Connecticut State University is a public, co-educational teaching institution enrolling around 11,600 students on the Long Island Sound. The U.S. News and World Report ranked Southern Connecticut State University as the 125th Best Regional College and 40th Top Public University in the North. Its National Council for Accreditation of Teacher Education (NCATE) accredited School of Education produces the most teachers in Connecticut. Available programs include the M.S. in Special Education (K-12) and M.S. in Collaborative Education (K-12) with optional Reading Specialist Certification. Graduates benefit from training in Southern Connecticut State University’s Center on Autism Spectrum Disorders. Learn more about Southern Connecticut State University’s Special Education Graduate Degree Programs here. With total enrollment over 27,300, the University of New Mexico is the state’s largest public, research institution operating campuses in Albuquerque, Gallup, Raos, and Los Alamos. For 2016, the U.S. News and World Report ranked the University of New Mexico as the 180th Best National University and 100th Top Public School. Celebrating the Southwest’s diversity, the College of Education prepares graduates for multilingual, inclusive classrooms. Special educators could pursue the Nactional Council Accrediation for Accreditation of Teacher Education (NCATE) accredited M.A. Special Education for Intellectual Disabilities or Learning/Behavioral Exceptionalities and Ed.D. in Special Education. UNM also grants an Educational Diagnosis Certificate. Learn more about the University of New Mexico’s Special Education Graduate Degree Programs here. As an elite Association of American Uuniversities (AAU) member, Indiana University-Bloomington is a flagship public, research institution educating more than 42,500 students in the state’s sixth largest city. Indiana University – Bloomington is America’s 75th Best National University with the 28th Best Graduate Education according to the U.S. News and World Report. The School of Education has produced 20 Indiana Teacher of the Year awardees. Graduate students could pursue the M.S.Ed. in Special Education either on-campus or online through IUConnectED. Beyond licensure, there’s a Ph.D. in Special Education and Preparing Educators of Students with Autism Certificate. Learn more about Indiana University – Bloomington’s Special Education Graduate Degree Programs here. Opened in 1963, Saginaw Valley State University is Michigan’s youngest public, co-educational higher education institution serving over 9,800 students near the Saginaw River. Given Carnegie’s “Community Engagement” classification, SVSU was named the country’s 60th Best College for Veterans in Military Times magazine. Using Tk20, the most innovative campus software available, the National Council for Accreditation of Teacher Education (NCATE) accredited College of Education prepares teachers with the lowest tuition statewide. Along with a Master of Arts in Teaching, M.Ed. endorsements are available for ASD, learning disabilities, reading specialist, or childhood special education. There’s also an Ed.S. in Special Education Directorship. Lern more about Saginaw Valley State University’s Special Education Graduate Degree Programs here. Featuring four campus in Northern Virginia’s Piedmont region, George Mason University is a public, state-funded research institution educating over 33,900 students. The U.S. News and World Report named George Mason University the 68th Top Public School and 18th Most Innovative University nationally. As America’s 51st Best Teacher Preparer, the College of Education has National Council of Accreditation of Teacher Education (NCATE) approval and follows Council For Exceptional Children (CEC) guidelines. Educators could earn a M.Ed. in Special Education, M.Ed. in Early Childhood Special Education, M.Ed. in Special Education Leadership, or Ph.D. in Special Education. Some include an American Sign Language Sequence. 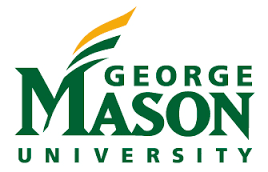 Learn more about George Mason University’s Special Education Graduate Programs here. This entry was posted in University Rankings on July 14, 2016 by tjentz.